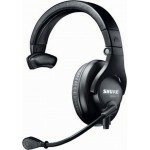 The Shure BRH31M Single-Sided Lightweight Broadcast Headset is designed for speech in broadcast appl.. 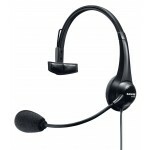 The Shure BRH441M Single-Sided Broadcast Headset is designed for speech in broadcast applications .. The Shure BRH440M Dual-Sided Broadcast Headset is designed for speech in broad..